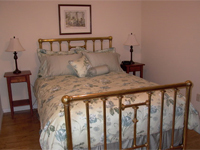 Welcome to the Salt Spring Island Harbour House Hotel accommodations. 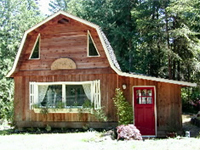 A haven of friendly elegance within walking distance of Ganges on beautiful Salt Spring Island, Gulf Islands, BC, Canada. Our accommodation facilities include 35 recently renovated hotel rooms, many with ocean views. Located on beautiful waterfront property on Welbury Bay,this romantic self contained cottage for two is 5 minutes from Ganges and a short walk from the Long Harbour ferry terminal. A comfy queen sized bed,fully equipped kitchen combined with a gift basket with basic breakfast provisions will help to make your stay on Saltspring Island enjoyable. The Sunrise Suite is a fully self-contained cottage-like-suite, with a queen bedroom, 4 piece washroom, living/dining room and kitchen. Weekly rental with shorter stays sometimes available. This suite can be expandes to a 2 or 3 bedroom suite for families and small groups! Come enjoy the spirit of Salt Spring Island from our beautiful home located in Vesuvius. We are only a short drive from Ganges with the Saturday Market, shopping and restaurants. Spend the day beachcombing on one of the two sunny beaches in our neighbourhood. Go on a Studio Tour, bike,hike, kayak or try a yoga class. Golf and tennis are close by too. Maybe you need a relaxing day spa, fishing charter or wine tour...? 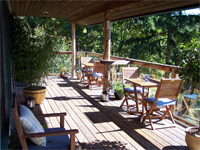 The serenity of south Salt Spring Island is yours to enjoy at Alder Creek Farm B&B located 2.7 km from the Fulford Harbour Ferry Terminal. On 20 acres of meadows, fields and trees, Alder Creek is a working farm on the very special ?south-end? of Salt Spring. If you like beautiful sunrises, amazing light, fresh breezes, good local food, reasonable rates, and friendly people, you will love your stay at Alder Creek Farm. 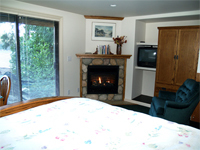 Weekly Vacation Rental of 3-bdrm, 2-bath Executive Home and/or Guest Cabin; occasional nightly rental. 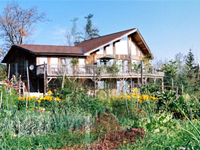 Includes hot tub, water view of Ganges Harbour, 4-min walk to beach or village of Ganges, extensive plantation gardens featuring 2200 plants, shrubs, trees w/ five waterfalls, four ponds, prize-winning dahlias. Two bdrms w/ private entrances. Open for business in 2005, this Gulf Island accommodation offers two beautifully appointed private rooms, each with their own outside entrance. 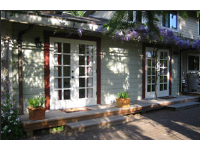 Our bed & breakfast is located just 5 minutes from Ganges - the heart of Salt Spring Island - where you will find arts, crafts, recreational activities, the Saturday Market in the Park and many independent boutiques, galleries and restaurants. 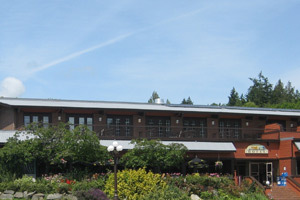 Being the largest of the Canadian Southern Gulf Islands on British Columbia's west coast, Salt Spring Island offers many tourist attractions and activities. 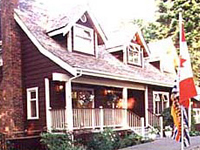 Come and enjoy our BC Tourism Approved Bed and Breakfast home in the heart of Salt Spring Island, the jewel of the Gulf Islands. Wonderful antiques and modern amenities surround you as you sip your coffee on the deck or patio overlooking our 5 acres of meadow and forest to view Ganges Harbour and the surrounding islands. Then enjoy one of our 3-course breakfasts as you watch for the seaplanes arriving. 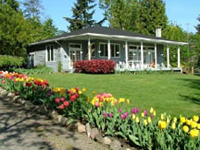 Anchor Point offers beautifully appointed Canada Select 4 Star Salt Spring Island bed and breakfast accommodation with style. Discover a truly relaxing getaway in the town and country atmosphere of a traditional cape-style residence. Come savor a taste of Salt Spring. 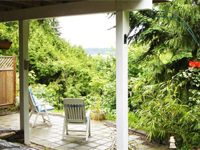 Relax and enjoy the magic of Salt Spring from the privacy of your own country cottage. Set on three private acres at the north end of Salt Spring, Angel Cottage provides the perfect setting for a 'get-away' experience. Enjoy rolling forested scenery and nearby ocean and lakeside beaches, or get a taste of island life by visiting artisan studios, the famous Saturday market, or any number of musical and theatrical events.